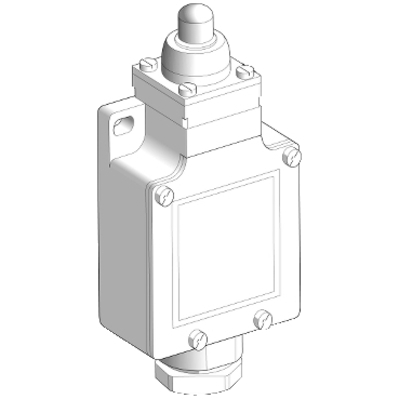 Detailed Description: Square D by Schneider Electric limit switch is likely to be used as pilot devices for magnetic starter control circuits, allows them to start, stop, slow down, or accelerate the functions of an electric motor. It automatically monitors and indicates whether the movement limits of a particular device have been exceeded. These heavy zinc die-cast enclosure switches are perfect for applications with limited space such as machine tool and material handling.